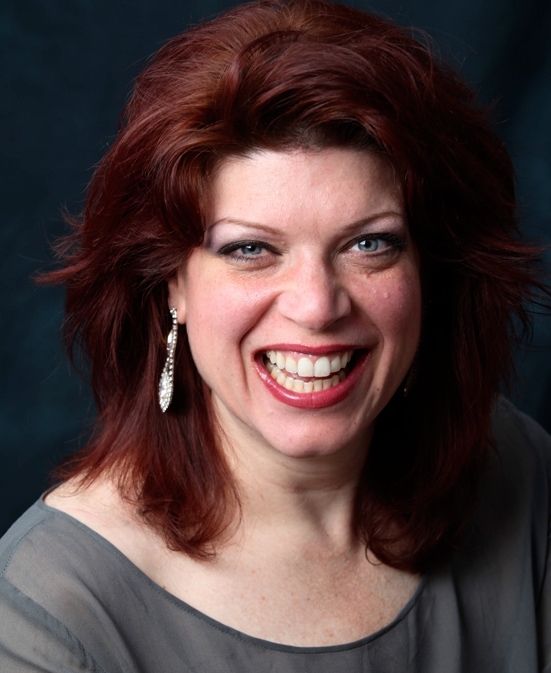 In the 2016/17 season, Jennifer Roderer made her house debut as La Duègne in Alfano's Cyrano de Bergerac at the Metropolitan Opera, where she has also been responsible for roles in Lulu and Jenufa. In 2015, she created the role of Shifrah Puah in Enemies, A Love Story for Palm Beach Opera and sang Aunt Sue in Carslisle Floyd’s Slow Dusk with the Little Opera Theatre of New York. Other recent performances include her Spoleto Opera debut as Kabanicha in Kat'a Kabanova, Quickly in Falstaff at Chautauqua Opera, Marcellina in Le Nozze di Figaro and Mrs. Lovett in Sweeney Todd with Syracuse Opera, and Azucena in Il Trovatore with Opera Roanoke. Upcoming performances include Marfa in Rothschild’s Violin with American Symphony Orchestra at Carnegie Hall. Since her 1999 debut at New York City Opera, Jennifer has performed a diverse array of roles for that company, including, Lady Angela in Patience, Junon in Mark Morris’ production of Plateé, Jade Boucher in Dead Man Walking, the Third Lady in The Magic Flute, Sappho in Lysistrata and Cecilia March in Little Women. Jennifer has sung the the Witch in Hansel and Gretel with NYCO, Opera Company of Philadelphia, Utah Opera and Opera Roanoke, among others; Mrs. Grosein Turn of the Screw at Lyric Opera of Kansas City, Toledo Opera and Lorin Maazel’s Chateauville Foundation; Amneris in Aida for Opern Air Gars in Austria, New Jersey Festival Orchestra, Opera Illinois and Berkeley Opera; Ruth In Pirates of Penzance with Lyric Opera of Kansas City and Indianapolis Opera. In 2005, Ms. Roderer made a critically acclaimed debut at the Teatro Colòn in Buenos Aires as Fricka in Die Walküre, conducted by Charles Dutoit. Other Wagnerian credits include Waltraute in Die Walküre for Lyric Opera of Chicago and Seattle Opera, as well as performances of Die Walküre at Opera Pacific, Parsifal with the Los Angeles Philharmonic conducted by Pierre Boulez, and orchestral presentations of excerpts from Lohengrin, Götterdämmerung, and Siegfried for the Wagner Society of Washington D.C. Other performances in the German repertoire include Klementia in Sancta Susanna with the American Symphony Orchestra, Gertrude in Hänsel und Gretel with New Jersey Symphony, and productions of Elektra at Los Angeles Opera, Washington National Opera and Virginia Opera. Highlights of Jennifer’s numerous concert performances include Verdi’s Requiem with the Berkshire Choral Festival at Terezín, Handel’s Messiah with the Jacksonville Symphony and under John Rutter at Carnegie Hall, Bach’s Bminor Mass and Dvorák’s Requiem with the Berkshire Choral Festival and Les noces with the Los Angeles Master Chorale, Horatio Parker's Hora Novissima with the Pacific Chorale and Symphony, Mozart’s Requiem with the New Jersey Symphony and the Berkshire Lyric Theatre, Vivaldi’s Gloria at Carnegie Hall, Beethoven’s Missa Solemnis with the Anchorage Symphony; and Beethoven’s Symphony No. 9 with the Los Angeles Philharmonic at the Hollywood Bowl, as well as with the Jacksonville Symphony, Pacific Symphony, and Florida Orchestra. Ms. Roderer has given New York recitals under the auspices of the Wagner Society of New York, the Austrian Cultural Forum and the Saratoga Arts Festival. Jennifer received grants from the William Matheus Sullivan Musical Foundation and the Wagner Societies of New York, Washington D.C. and Los Angeles. She won the Arthur E. Walters Memorial Award from Opera Index and First Place in the Opera Guild of Southern California Competition. Born in Illinois and raised in Los Angeles, she holds a Bachelor of Music degree from the University of Southern California and a Master of Arts from CUNY Hunter College.